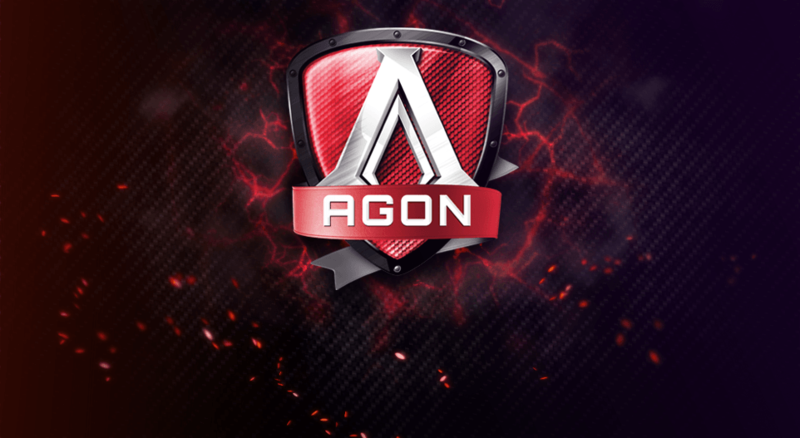 AOC is preparing to release two monitors aimed at the aspiring and semi-professional designers. 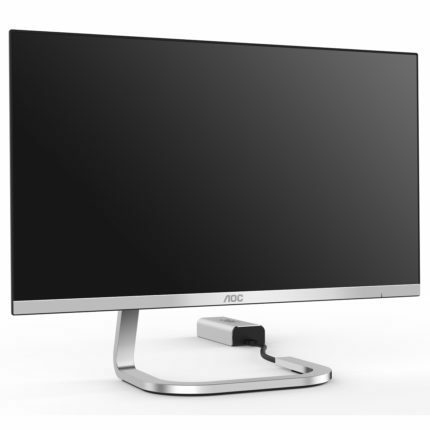 The AOC PDS241 and its 27-inch version, the AOC PDS271, will both feature the same specs including Full HD resolution, IPS panel, and the same stylish and minimalistic design with the external power box. While both monitors offer the same 1080p resolution, the 23.8-inch model is more recommended for color-critical work due to the higher pixel density. Besides, it’s also more affordable and considerably cheaper than the 27-inch model. The AOC PDS241 PC monitor features LG’s AH-IPS panel for the impeccable 178-degree viewing angles and accurate color reproduction. The 8-bit color depth is supported with dithering (6-bit + FRC), but the monitor will cover 100% of the sRGB color gamut which equals to 90% NTSC. This makes the monitor adequate for the professional photography, among other things, which AOC dubs as the Supercolor WCG (Wide Color Gamut) due to the superb color accuracy and consistency with improved saturation. The only difference between the AOC PDS241 and the AOC PDS271 besides their screen size lies in the pixel density. As both monitors feature the Full HD 1080p resolution, the 23.8-inch model will have a considerably richer pixel density of 92 pixels per inch which manifests in a more detailed image quality preferred by the professional designers. The 27-inch model, on the other hand, amounts to roughly 81 pixels per inch and would be more suited by the 1440p resolution. Nevertheless, as the monitors are aimed at entry-level designers, the fine color accuracy should be enough for their aspirations. Other features include the AOC Low Blue Light Filter which eliminates the harmful blue lights and allows you to enjoy reading an e-book before bed, for example, without feeling eye fatigue. In addition to the flicker-free screen, you’ll be able to watch the AOC PDS241 screen for hours without straining your eyes. Moreover, the standard AOC features such as the i-Menu and e-Saver will be present with these models as well. The former allows you to adjust all the OSD settings in a desktop application rather than by the OSD buttons while the latter offers you the ability to set custom timers for monitor shutdown, sleep mode, etc. Nowadays, 60Hz refresh rate and no adaptive-sync mean that such display is by no means a gaming monitor. However, the AOC PDS241 IPS monitor offers a quick 4ms response time speed which still means you can enjoy some fast-paced action without too much blur of the fast moving objects. Naturally, folks with high refresh rate gaming monitors and adaptive-sync will have a colossal advantage over you in competitive gaming, but that doesn’t mean you can’t enjoy a few casual games every now and then with the AOC PDS241 monitor. Besides, its vibrant color image quality will make video games look awesome. 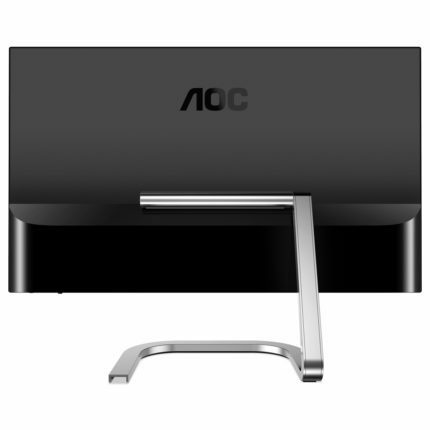 The design of the AOC PDS241 monitor was co-developed by Studio F.A. Porsche which resulted in such innovative and minimalistic appearance. However, the striking design comes at cost of limited ergonomic support as there is no VESA mount compatibility and the monitor is tilt-only by -3.5, 21.5 degrees. Nevertheless, if you’re not too dependent on monitor’s versatility, you will be able to enjoy this silver and thin design that’s only 5.2mm thick. The bottom bezel features brushed metal beneath which you can find the OSD buttons at the right side. The screen is coated with a light matte finish which effectively eliminates the sunlight reflect without adding grain to the screen. Keep in mind that there’s only one HDMI 1.4 port available which allows for such minimalistic design. The AOC PDS271 and the AOC PDS241 release date is sometime in July 2017. They will be sold for around $336 and $245 respectively. The AOC PDS241 price seems quite alluring considering the monitor’s notable image accuracy and consistency adequate for the professional photographers. The AOC PDS271 price, however, is a bit steep considering its rather low pixel density that results in too pixelated image quality for the professional color-critical work. 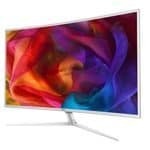 The 1440p resolution on the 27-inch model would make more sense for a designer monitor even if it were more expensive. The AOC PDS241 and the AOC PDS271 monitors feature a prominent design with an astonishing image quality thanks to the LG’s AH-IPS panel with the flawless viewing angles and AOC’s Supercolor wide color gamut. While both monitors offer same features, color accuracy, and performance, the fact that the AOC PDS241 provides a richer pixel density at a lower price will certainly make it more appealing to the professional and aspiring artists who rely on color precision and consistency. In spite of the lower pixel density of the AOC PDS271 display, it’s still a reasonably priced 27-inch monitor for an immersive multimedia experience with an eye-catching design. 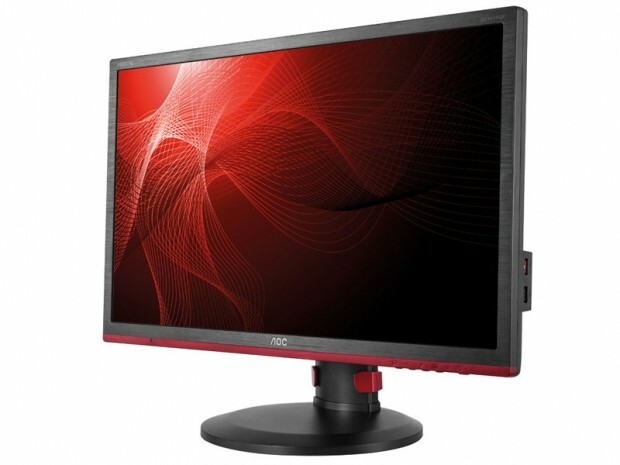 The AOC PDS241 is an affordable designer monitor for the aspiring and professional photographers and designers. Besides offering the highly accurate and consistent colors, the AOC PDS241 features an eye-catching design with minimalistic appearance but limited ergonomic support.